1 : 1013760 Johnson, A.J. 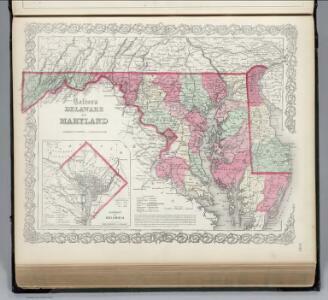 New Map Of Maryland and Delaware. 1 : 17000 Tanner, Henry S.
1 : 1200000 Tanner, Henry S.
1 : 22500 Tanner, Henry S.